Nearbuy is India’s first hyper-local online platform that enables customers and local merchants to discover and engage with each other. 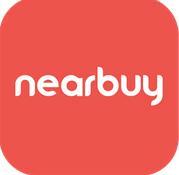 We at nearbuy.com, work hard to bring your world, closer to you. Whether it s fine dining, relaxing at the top spas, or just discovering your city intimately, nearbuy.com makes it happen for you. How To Get 100% Off On Pizzahut & KFC ? 4. Enter Your Details Like Email And Mobile Numbers Etc. 7. Rs.250 Cashback Will Be Credited Into Your Account Within 48 Hours Of Redemption Of Voucher. In case customer partially cancels his/her order (i.e. if one cancels few of the vouchers in a multi-voucher order), cashback will be awarded to him/her only for the vouchers which he/she redeems and not for the cancelled vouchers.